Elvis Presley Passed Here is an amazing portrait of the bizarre, shocking, weird, and wonderful moments that have come to define American popular culture. 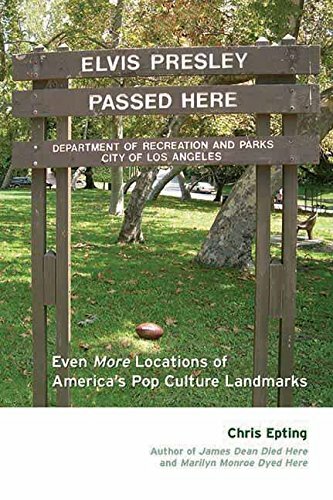 The follow-up to the critically acclaimed James Dean Died Here and Marilyn Monroe Dyed Here, this third collection of the locations where the most significant events in American popular culture took place offers a fully illustrated encyclopedic look at the most famousâand infamousâpop culture events, providing historical information on more than 600 landmarks as well as their exact locations (including, of course, the Los Angeles park where Elvis Presley and his entourage would organize spirited touch football games against other celebrities). About: Elvis Presley Passed Here is an amazing portrait of the bizarre, shocking, weird, and wonderful moments that have come to define American popular culture.